"Additional products" modification for CS-Cart is a convenient tool if you sell products and additional items or accessories for them. On a product details page customer will be able to see additional products which complement a main product, choose them for purchase and the final price will be automatically calculated. Ability for administrator to create groups for additional products and enable these groups or a certain group for a product. In the storefront a customer sees additional products, their options, price, in stock information and can choose a quantity. Additional products information is organized in a table form. 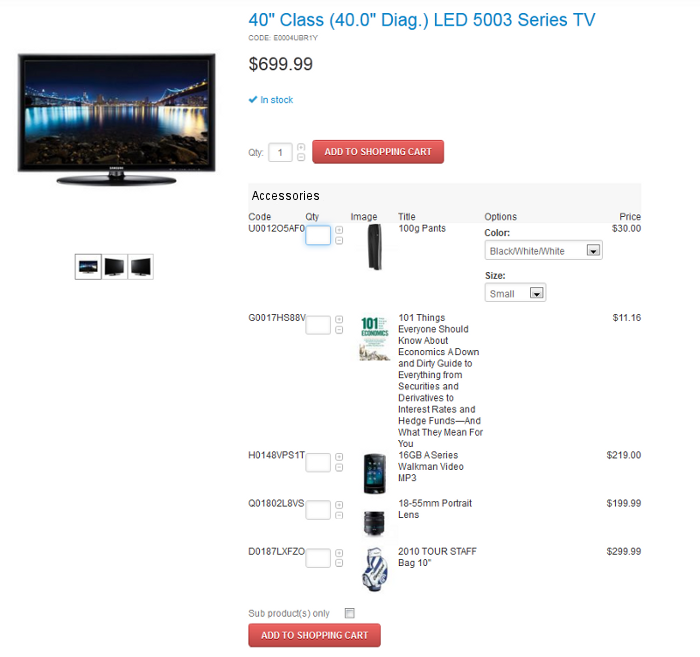 Final price of an order is automatically calculated and shown on the product details page. This modification was implemented for CS-Cart Pro 2.2.4 with an initial cost $360. Now we offer this modification for CS-Cart 2.2.x. - 3.0.x versions for $280. The additional modification (additional products pop-up) will cost $250. Thus the price for CS-Cart 3 will be $280+$250. The price for CS-Cart 4 will be $320+$250." Is this possible? What type of price for inclusion in a 3.06 cart? What price for inclusion for a 4.1.1 store?